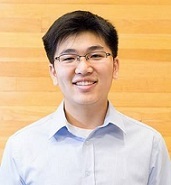 Mickey Li is a first year undergraduate at the University of Texas at Austin majoring in Business Honors and Finance. In high school, he founded a successful peer tutoring club that ultimately aided over 300 students, many of whom saw an increase of 5 - 30% on their test scores. He sees education, especially for those who need it most, as a channel to contribute back to his community and hopes to have a positive impact on Austin schoolchildren. When he's free, Mickey enjoys playing the piano or a good game of table tennis.